Selected as inside back cover ! Chem. Eur. J., 2016, 22, 3287-3291,. Chem. Eur. J. , 21,12337-12346,DOI: 10.1002/chem.20150326. Eur. J. Org. Chem. 2015, 20, 4320-4324 DOI:10.1002/ejoc.20150623. Eur. J. Org. Chem. 2015, 20, 4316-4319 DOI:10.1002/ejoc.20150585. Angew. Chem. Int. Ed., 2015, , 54, 8538 –8541, DOI: 10.1002/anie.20153794. ChemCatChem., 2015, 7, 155-159, DOI: 10.1002/cctc.201402811. Chem. Eur. J., 2015, 21, 2621-2328, DOI: 10.1002/chem.201405629. J. Synth. Org. Chem., Jpn., 2014, 72, 1228-1238. Angew. Chem. Int. Ed., 2014, 53, 13902-13906, DOI: 10.1002/anie.201408416. Adv. Synth. Catal., 2014, 356, 3106–3118, DOI: 10.1002/adsc.201400294. Chem. Eur. J., 2014, 20, 13583-13588, DOI: 10.1002/chem.201403932. Chem. Eur. J., 2014, 20, 17077-88(2014),DOI: 10.1002/chem.201403514. Helv. Chim. Acta, 96,799-852 (2013). Angew. Chem., Int. Ed., 52,3450-3452 (2013). Chem. Lett., 42, 220-221 (2013). Tetrahedron Letters, 54, 1389 (2013). Tetrahedron Letters, 54, 1307 (2013). Chem. Commun., 48, 4570 (2012). J. Am. Chem. Soc., 133, 20175 (2011). Eur. J. Org. Chem., 6020 (2011). Chem. Eur. J., 17, 11715 (2011). Chem. Eur. J. 17, 8273 (2011). 137 Organocatalyzed Michael Addition of Aldehydes to Nitro Alkenes - Generally Accepted Mechanism Revisited and Revised. Helvetica Chemica Acta, 94, 719 (2011). Angew. Chem., Int. Ed., 50, 3920 (2011). Angew. Chem., Int. Ed., 50, 3774 (2011). Angew. Chem., Int. Ed., 50, 2804 (2011). Angew. Chem.,Int. Ed., 50, 2824 (2011). Chem. Eur. J., 16, 12616 (2010). Abstracted in SYNFACTS, 12, 1420, (2010). Chem. Eur. J., 16, 10150 (2010). Chem. Eur. J., 16, 3884 (2010). Helvetica Chimica Acta., 92, 1225 (2009). Bioorganic & Medicinal Chemistry Letters, 19, 3863 (2009). Bull. Chem. Soc. Jpn., 82, 381 (2009). Angew. Chem. Int. Ed., 48, 1304 (2009). Most accessed articles in 01/2009 : Ranked as 1st! Chem. Asian. J., 4, 246 (2009). Angew. Chem. Int. Ed., 47, 9053 (2008). Chem. Lett., 37, 1072 (2008). Chem. Lett., 37, 836 (2008). Biosci. Biotechnol. Biochem., 72, 1894 (2008). Oncology Research, 17, 11 (2008). J. Antibiotics, 61, 94 (2008). Angew. Chem. Int. Ed., 47, 6657 (2008). Angew. Chem. Int. Ed., 47, 6634 (2008). Chem. Lett., 37, 592 (2008). Angew. Chem. Int. Ed., 47, 4722 (2008). Angew. Chem. Int. Ed., 47, 4012 (2008). Org. Lett. 10, 1405 (2008). Org. Lett. 10, 1445 (2008). Angew. Chem. Int. Ed., 47, 2082 (2008). This paper is dedicated to Prof. E. J. Corey on the occasion of his 80th birthday. Chem. Asian J. 3, 225 (2008). This paper is dedicated to Prof. Teruaki Mukaiyama on the occasion of his 80th birthday. Org. Lett. 10, 21 (2008). Org. Lett., 9, 5307 (2007). Most-Accessed Articles: October-December, 2007 : Ranked as 15th! Chem. Eur. J., 13, 10246 (2007). 93 Conversion of tertiary alcohols to tert-alkyl azides by way of quinone-mediated oxidation-reduction condensation using alkyl diphenylphosphinites, Kiichi Kuroda, Yujiro Hayashi and Teruaki Mukaiyama, Tetrahedron, 63, 6358 (2007). Y. Hayashi, H. Sekizawa, J. Yamaguchi, H. Gotoh, J. Org. Chem., 72, 6493 (2007). Most-Accessed Articles: July-September, 2007 : Ranked as 8th! Org. Lett., 9, 2859 (2007). Angew. Chem. Int. Ed., 46, 4922 (2007). Nature Protocols 2, 113-118 (01 Feb 2007) . Y. Hayashi, M. Takeda, M. Shoji, M. Morita, Chem. Lett., 36, 68-69 (2007). 86 Dry and Wet Prolines for Asymmetric Organic-Solvent-Free Aldehyde-Aldehyde and Aldehyde-Ketone Aldol Reactions, Y. Hayashi, S. Aratake, T. Itoh, T. Okano, T. Sumiya, M. Shoji, Chem. Commun. 2007, 957. 85 Preparation of tert-Alkyl Azides from Tertiary Alcohols by Way of Benzoquinone-mediated Oxidation-Reduction Condensation, K. Kuroda, N. Kaneko, Y. Hayashi, T. Mukaiyama, Chem. Lett., 35, 1432-1433 (2006). 83 Enantio- and Diastereoselective Total Synthesis of (+)-Panepophenanthrin, a Ubiquitin-Activating Enzyme Inhibitor, and Biological Properties of Its New Derivatives, M. Matsuzawa, H. Kakeya, J. Yamaguchi, M. Shoji, R, Onose, H. Osada, Y. Hayashi, Chem. Asian. J., 1, 845(2006). H. Gotoh, R. Masui, H. Ogino, M. Shoji, Y. Hayashi, Angew. Chem. Int. Ed. 45 6853 (2006). 81 Combined Proline–Surfactant Organocatalyst for the Highly Diastereo- and Enantioselective Aqueous Direct Cross-Aldol Reaction of Aldehydes, Y. Hayashi*, S. Aratake, T. Okano, J. Takahashi, T. Sumiya, M. Shoji, Angew. Chem. Int. Ed. 45, 5527(2006). 80 Large Nonlinear Effect Observed in the Enantiomeric Excess of Proline in Solution and That in the Solid State, Y. Hayashi*, M. Matsuzawa, J. Yamaguchi, S. Yonehara, Y. Matsumoto, M. Shoji, D. Hashizume, H. Koshino, Angew. Chem. Int. Ed. 45, 4593 (2006). 79 Computational Study on the Reaction Mechanism of the Key Thermal [4 + 4] Cycloaddition Reaction in the Biosynthesis of Epoxytwinol A, I. Shiina, T. Uchimaru, M. Shoji, H. Kakeya, H. Osada, and Y. Hayashi, Org. Lett., 8, 1041 (2006). 78 Highly Diastereo- and Enantioselective Direct Aldol Reactions in Water, Y. Hayashi, T. Sumiya, J. Takahashi, H. Gotoh, T. Urushima, M. Shoji, Angew. Chem. Int. Ed. 45, 958 (2006). 77 Concise Enantio- and Diastereoselective Total Syntheses of Fumagillol, RK-805, FR65814, Ovalicin, and 5-Demethylovalicin J. Yamaguchi, M. Toyoshima, M. Shoji, H. Kakeya, H. Osada, Y. Hayashi, Angew. Chem. Int. Ed., 45, 789 (2006). 76 Enantio- and Diastereoselective Total Synthesis of EI-1941-1, -2, and -3, Inhibitors of Interleukin-1 Converting Enzyme, and Biological Properties of Their Derivatives, M. Shoji, T. Uno, H. Kakeya, R. Onose, I. Shiina, H. Osada, and Y. Hayashi, J. Org. Chem., 70, 9905 (2005). 75 RKTS-33, an Epoxycyclohexenone Derivative That Specifically Inhibits Fas Ligand-Dependent Apoptosis in CTL-Mediated Cytotoxicity, T. Mitsui, Y. Miyake, H. Kakeya, Y. Hayashi, H. Osada, T. Kataoka, Biosci. Biotechnol. Biochem., 69, 1923-1928 (2005). 74 Cysteine-Derived Organocatalyst in a Highly Enantioselective Intramolecular Michael Reaction, Y. Hayashi, H. Gotoh, T. Tamura, H. Yamaguchi, R. Masui, and M. Shoj, J. Am. Chem Soc, 127, 16028 (2005). 73 The Direct, Enantioselective, One-Pot, Three-Component,Cross-Mannich Reaction of Aldehydes: The Reason for the Higher Reactivity of Aldimine versus Aldehyde in Proline-Mediated Mannich and Aldol Reactions, Y. Hayashi, T. Urushima, M. Shoji, T. Uchimaru, I. Shiina, Adv. Synth. Catal., 347, 1604 (2005).invited paper of special issue dedicated to C-C bond formation. 72 The stereoselective synthesis of α-substituted β-amino secondary alcohols based on the proline-mediated, asymmetric, three-component Mannich reaction and its application to the formal total synthesis of nikkomycins B and Bx, Y. Hayashi, T. Urushima, M. Shin and M. Shoji Tetrahedron, 48, 11393 (2005). 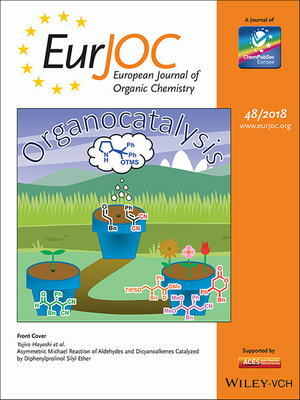 Invited paper of the special issue dedicated to Multicomponent Reactions. 71 The First Asymmetric Total Synthesis of Synerazol, an Antifungal Antibiotic, and Determination of its Absolute Stereochemistry, Y. Hayashi, M. Shoji, T. Mukaiyama, H. Gotoh, S. Yamaguchi, M. Nakata, H. Kakeya, H. Osada, J. Org. Chem.,70, 5643 (2005). 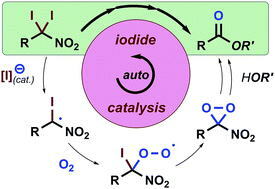 70 Diphenylprolinol Silyl Ethers as Efficient Organocatalysts for the Asymmetric Michael Reaction of Aldehydes and Nitroalkenes, Y. Hayashi, H. Gotoh, T. Hayashi, M. Shoji, Angew. Chem. Int. Ed., 44, 4212-4215 (2005). 69 Epolactaene binds human Hsp60 Cys442 resulting in the inhibition of chaperone activity, Y. Nagumo, H. Kakeya, M. Shoji, Y. Hayashi, N. Dohmae, H. Osada, Biochem. J., 387, 835-840 (2005). 68 Determination by asymmetric total synthesis of the absolute configuration of lucilactaene, a cell cycle inhibitor in p53-transfected cells, J. Yamaguchi, H. Kakeya, T. Uno, M. Shoji, H. Osada, and Y. Hayashi, Angew. Chem. Int. Ed., 44, 3110-3115 (2005). 67 Synthesis of a- and/or g-benzoyloxy-a,b-enones from a-halo-a,b-enones, Y. Hayashi, M. Shoji, and S. Kishida, Tetrahedron Lett. 46, 681-685 (2005). 66 The Total Synthesis of Epoxyquinols A, B, C and Epoxytwinol A and the Reactivity of a 2H-Pyran Derivative as the Diene Component in the Diels-Alder Reaction, M. Shoji, H. Imai, M. Mukaida, K. Sakai, H. Kakeya, H. Osada, and Y. Hayashi, J. Org. Chem. 70, 79-91 (2005). 65 Stereoselective Total Synthesis of ent-EI-1941-2 and Epi-ent-EI-1941-2, M. Shoji, T. Uno, and Y. Hayashi, Org. Lett., 6, 4535-4538 (2004). 64 A. Highly Active 4-Siloxyproline Catalyst for Asymmetric Synthesis. Y. Hayashi, J. Yamaguchi, K. Hibino, T. Sumiya, T. Urushima, M. Shoji, D. Hashizume, and H. Koshino, Adv. Synth. Catal., 346, 1435-1439 (2004). 63 Structure-activity relationships of epolactaene derivatives: structural requirements for inhibition of Hsp60 chaperone activity, Y. Nagumo, H. Kakeya, J. Yamaguchi, T. Uno, M. Shoji, Y. Hayashi, H. Osada, Bioorg. Med. Chem. Lett., 14, 4425-4429 (2004). 62 Direct Proline-Catalyzed Asymmetric a-Aminoxylation of Aldehydes and Ketones, Y. Hayashi, J. Yamaguchi, T. Sumiya, K. Hibino, M. Shoji, J. Org. Chem. 69, 5966-5973 (2004). 61 The Chiral Diamine Mediated Asymmetric Baylis-Hillman Reaction, Y. Hayashi, T. Tamura, M. Shoji, Adv. Synth. Catal., 346, 1106-1110 (2004). 60 Application of high pressure, induced by water freezing, to the direct asymmetric aldol reaction, Y. Hayashi, W. Tsuboi, M. Shoji, N. Suzuki, Tetrhedron Lett., 45, 4353-4356 (2004). 59 Different Reaction Modes for the Oxidative Dimerization of Epoxyquinols and Epoxyquinones. Importance of Intermolecular Hydrogen-Bonding, M. Shoji, H. Imai, I. Shiina, H. Kakeya, H. Osada, Y. Hayashi, J. Org. Chem., 69, 1548-1556 (2004). 58 Direct Proline-Catalyzed Asymmetric a-Aminoxylation of Ketones, Y. Hayashi, J. Yamaguchi, T. Sumiya, M. Shoji, Angew. Chem. Int Ed., 43, 1112-1115 (2004). 57 Direct proline catalyzed asymmetric a-aminooxylation of aldehydes, Y. Hayashi, J. Yamaguchi, K. Hibino, M. Shoji, Tetrahedron Lett., 44, 8293-8296 (2003). 56 Novel Non-peptide Inhibitors Targeting Death Receptor-Mediated Apoptosis, H. Kakeya, Y. Miyake, M. Shoji, S. Kishida, Y. Hayashi, T. Kataoka, H. Osada, Bioorganic & Medical Chem. Lett., 13, 3743-3746 (2003). 55 Application of High Pressure Induced by Water-Freezing to the Direct Catalytic Asymmetric Three-Component List-Barbas-Mannich Reaction, Y. Hayashi, W. Tsuboi, M. Shoji, N. Suzuki, J. Am. Chem. Soc., 125, 11208-11209 (2003). 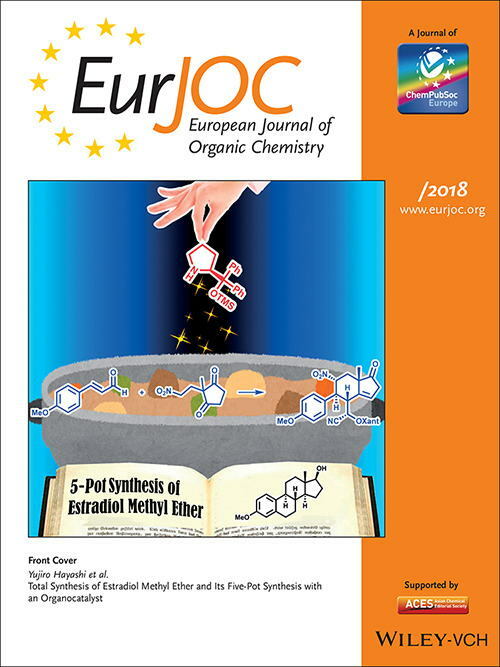 54 Reaction Modes of Oxidative Dimerization of Epoxycyclohexenols, M. Shoji, S. Kishida, Y. Kodera, I. Shiina, H. Kakeya, H. Osada, Y. Hayashi, Tetrahedron Lett., 44, 7205-7207 (2003). 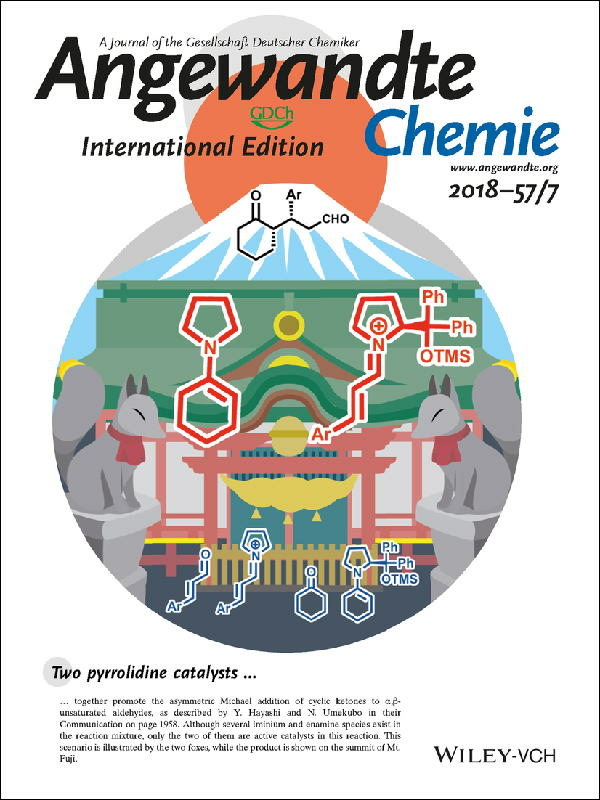 53 The Diect and Enantioselective, One-pot, Three-Component, Cross-Mannich Reaction of Aldehydes, Y. Hayashi, W. Tsuboi, I. Ashimine, T. Urushima, M. Shoji, K. Sakai, Angew. Chem. Int. Ed., 42, 3677-3680 (2003). 52 Asymmetric Total Synthesis of Pseurotin A, Y. Hayashi, M. Shoji, S. Yamaguchi, T. Mukaiyama, J. Yamaguchi, H. Kakeya, H. Osada, Org. Lett., 5, 2287-2290 (2003). 51 A Practical Total Synthesis of Both Enantiomers of Epoxyquinols A and B, M. Shoji, S. Kishida, M. Takeda, H. Kakeya, H. Osada, and Y. Hayashi, Tetrahedron Lett., 43, 9155-9158 (2002). 50 The Baylis-Hillman Reaction under High Pressure Induced by Water-Freezing, Y. Hayashi, K. Okado, I. Ashimine, and M. Shoji, Tetrahedron Lett., 43, 8683-8686 (2002). 49 Asymmetric Total Synthesis of (-)-Azaspirene, a Novel Angiogenesis Inhibitor, Y. Hayashi, M. Shoji, J. Yamaguchi, K. Sato, S. Yamaguchi, T. Mukaiyama, K. Sakai, Y. Asami, H. Kakeya, and H. Osada, J. Am. Chem. Soc., 124, 12078-12079 (2002). 48 The Diastereoelective Asymmetric Total Synthesis of NG-391, a Neuronal Cell-Protecting Molecule, Y. Hayashi, J. Yamaguchi, and M. Shoji, Tetrahedron, 58, 9839-9846 (2002). 47 Diastereoselective Total Synthesis of Both Enantiomers of Epolactaene, Y. Hayashi, J. Kanayama, J. Yamaguchi, and M. Shoji, J. Org. Chem. 67, 9443-9448 (2002). 46 The HfCl4-Mediated Diels-Alder Reaction of Furan, Y. Hayashi, M. Nakamura, S. Nakao, T. Inoue, and M. Shoji, Angew. Chem. Int. Ed., 41, 4079-4082 (2002). 45 A Novel Adenine Nucleotide Translocase Inhibitor, MT-21, Induces Cytochrome c Release by a Mitochondrial Permeability Transition-independent Mechanism, K. Machida, Y. Hayashi, and H. Osada, J. Bio. Chem., 277, 31243-31248 (2002). 44 Total Synthesis of (+)-Epoxyquinols A and B, M. Shoji, J. Yamaguchi, H. Kakeya, H. Osada, and Y. Hayashi, Angew. Chem. Int. Ed., 41, 3192-3194 (2002). 43 b-Ketothioester as a reactive Knoevenagel donor, Y. Hayashi, Y. Miyamoto, and M. Shoji, Tetrahedron Lett., 43, 4079-4082 (2002). 42 Oxidative Double Bond Cleavage of a-Substituted Styrenes with Molecular Oxygen, Y. Hayashi, M. Takeda, Y. Miyamoto, and M. Shoji, Chem. Lett., 2002, 414-415. 41 Application of High Pressure Induced by Water-freezing to the Michael Reaction of Alcohols with a,b-Enones, Y. Hayashi, and K. Nishimura, Chem. Lett., 2002, 296-297.